Happy Tail- Almost three weeks ago Romeo came into my life. I was a bit nervous about adopting a rescue dog. I had had dogs in my life before, but always from breeders or friends. I had heard rescue dogs can have “issues”, but the idea of so many dogs out there needing homes really touched me and made me want to try this route. I contacted Raincoast Dog Rescue Society and in a short time was conversing with Jesse.. Through this society I could foster a pup and ensure he or she was the right fit for my family and me. The carefully constructed foster to adopt questionnaire did its job and asked all of the right questions to ensure the right pup was fitted to us. In no time at all we were meeting Romeo, a seven month old Papillon/Dachshund cross. Although a bit shy at first, we almost instantly fell in love. No, he is not perfect, he gets a bit stressed when I leave him as we have become very attached to one another, but we are working on it and he is the most lovable, smart, loyal and funny little pup I have ever known. It is almost like because he was a rescue, he wants to learn and please me more than ever. I now know I could never again support ‘buying’ a dog. I understand the attractiveness of choosing a specific type of dog, but with so many amazing pups out there in need of good homes, it is just not something that makes sense to me. And really, how many breeders allow you to foster and make sure the pup is right for you and your home, not to mention that you are right for the pup? Thank you Jesse for the amazing job you do. 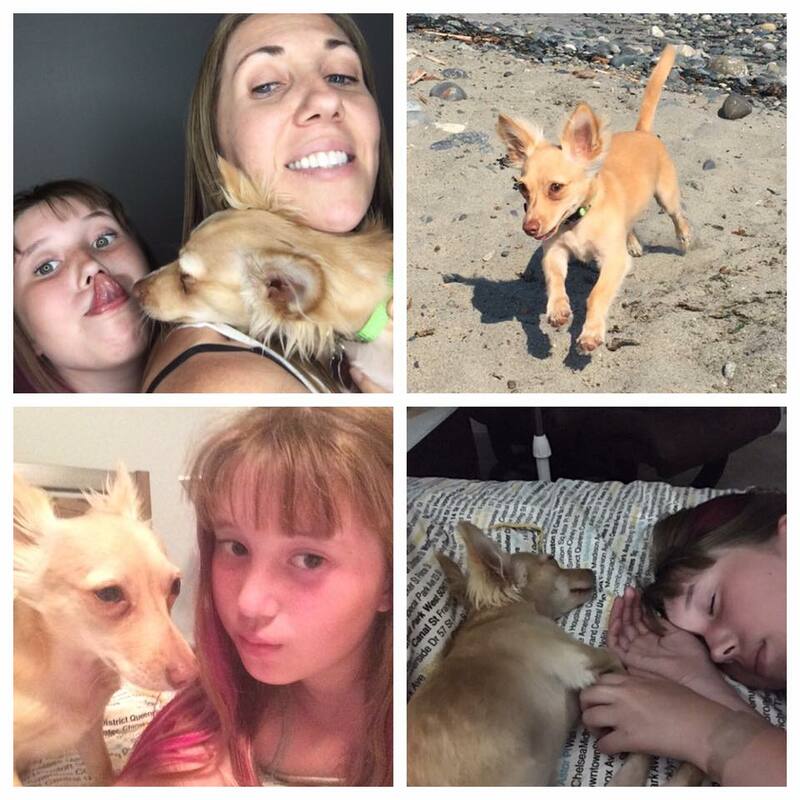 Life with Romeo is beyond fun and filled with so much love that would have not been possible without you and the Raincoast Dog Rescue Society.